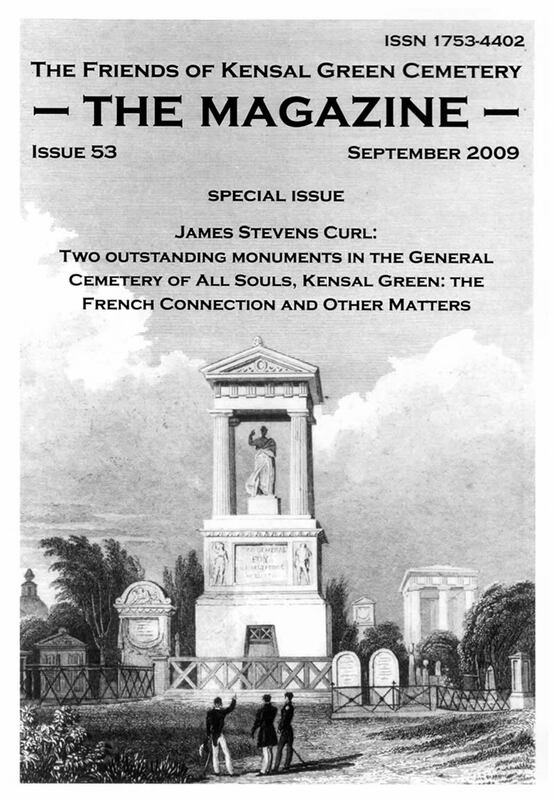 The Magazine of The Friends of Kensal Green Cemetery, liii (September, 2009), Special Issue. 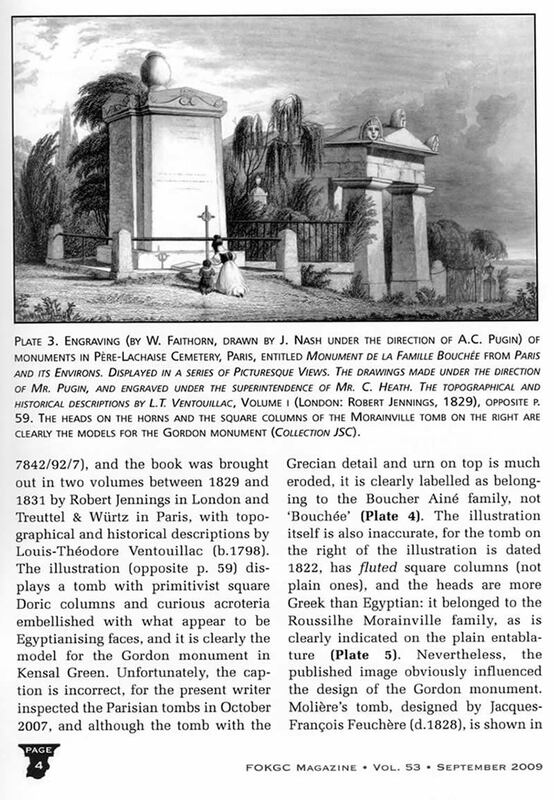 Two Neo-Classical monuments in Kensal Green Cemetery are based on two earlier exemplars in Père-Lachaise Cemetery, Paris. 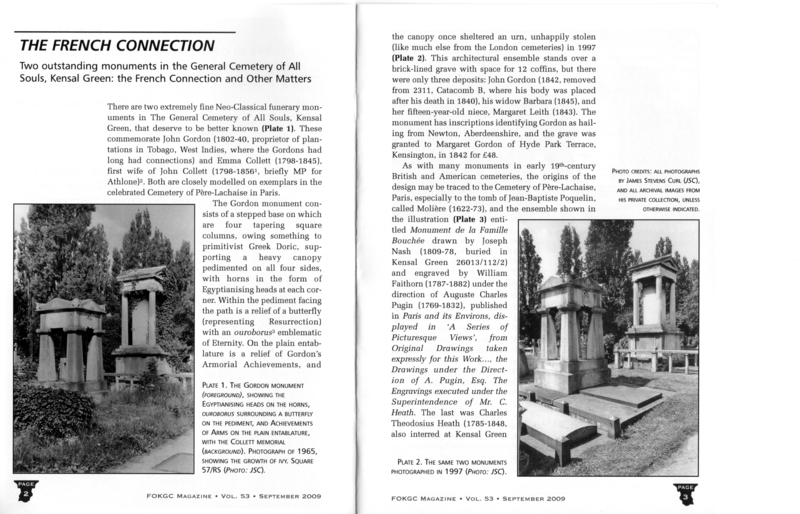 These are discussed and illustrated, and connections made.